This book is the tutorial and user’s guide of the following software: Interactive Project Manager, Project Manager for Visual Studio, Interactive Project Modeling and Interactive Application Modeling. 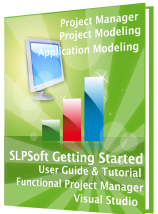 This book contains step by step example on how to get started using our software. 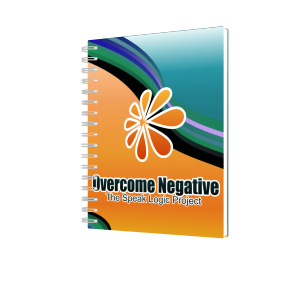 The book is very easy to follow and a sample project is used throughout the book in all phases. In addition to an electronic copy, there is also a hard copy for this book. If you find it more convenient to read hard copies and you need a hard copy of this book, you can order it from this link. Understanding The Principle of Communication or Identification and Correction of Error in Communication: Both books are the same, they only have different titles. You can download either of them. This book is needed to help with the learning and the understanding of the principle of communication. If you want to learn the principle with the help of an instructor, there is no need to have this book. This book can be viewed as the basis of learning and understanding the principle of communication. Since a given set of principle is related to the principle of communication, in order to learn and understand a given set of principle, the principle of communication needs to be learned and understood first. For this reason, this book is very important and it is considered as the prerequisite for fundamental of communication. Application Modeling Tutorial Communication Domain Or Project Modeling Tutorial Communication Domain: Given that our applications/projects depend on our communications, it makes sense to model our applications/projects related to our communications. By having a good understanding of the principle of communication, it makes sense for us to use the principle to model an application/project. This book is very important and it is recommended to use the software effectively. This book is the key for applications and projects modeling and it is strongly recommended. There is also a mathematical representation of this book which requires the understanding of algebra. You have a choice to download either version. Fundamental of Communication Book 1: While we communicate and identify entities that make up our communications as communication entities, it is very important to understand that we think about our communications. For instance while we communicate we can repeat a sentence with word computer, where the word computer is being viewed as a communication entity and the computer itself is viewed as an entity; but we think about the sentence before we repeat it and the entities that make up the sentence. Understanding the Principle of Communication had exposed us to the external view of our communications, where Fundamental of Communication exposes us to the internal viewed of our communications. In term of oral communication, given that a person who communicates repeats a sentence and thinks about that sentence, it is important for the internal view of that communication not to be disregarded. This book needs to be downloaded in order to start learning the second mode of modeling our applications. A mathematical representation of this book is also available for download and it requires algebra. While this book is recommended, however if your goal is to learn the principle with the help of an instructor, there is no need to have this book. Fundamental of Communication Book 2 extends the learning of the principle from Fundamental of Communication Book 1. While learning a given set of principle, the other sets that are part of the overall set are needed to be learned as well in order to have a very good understanding of the whole set. This book takes the continuous learning of the given set into consideration. This book needs to be downloaded in order to continue the learning of the given set. There is also a mathematical representation of this book which requires the understanding of algebra. You download whichever you feel comfortable with. While this book is recommended, however if your goal is to learn the principle with the help of an instructor, there is no need to have this book. Fundamental of Communication Book 3 is titled as Understanding Application of Theory and Structuring Functions with Theory. While learning a given set of principle, sometime it is good to ask this question. When I am going to become familiar with that principle? In order to become familiar with a given set of principle, we must apply it and use it in our applications. Fundamental of Communication Book 3 which is Understanding Application of Theory and Structuring Functions with Theory addresses this issue. It is very important to download this book. While Fundamental of Communication Book 1 and Fundamental of Communication Book 2 should have been sufficient enough to learn the given set, but once you get to this book you will realize whether or not what you have learned from book 1 and book 2 is sufficient. This book is very important to download. A mathematical representation is also available and requires the understanding of algebra. There is no need to have this book if your goal is to learn the principle with the help of an instructor. 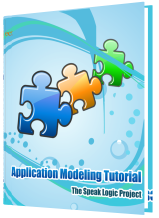 Application Modeling Tutorial Theory Domain or Project Modeling Tutorial Theory Domain: By modeling our application in the communication domain, we expose the external view of our application. It is better to say it like this; by modeling our application in the communication domain, we expose the external view of our communication. Since our communication has both an external view and an internal view, it makes sense for us not to disregard the internal view of our communication. By having a good understanding of the given set or a good understanding of Fundamental of Communication, it makes sense to use that knowledge to model our application in the theory domain. This book enables us to model our application in the theory domain by exposing the internal view of our communication. This book is very important to download. There is also a mathematical representation of this book which requires the understanding of algebra. Communication/Information Analysis Guideline or Application/Project Analysis Guideline: The Guideline is not recommended, however if an error is identified in a communication, we can ask this question whether or not a guideline was followed. Another way to look at it, when working in a project, in order for us to execute that application effectively, we must follow the guideline of that project. Any project we are working on must have a guideline. Since we are not modeling that project, we simply forget about the guideline. A guideline does not have to be a written document, but it can be viewed as an entity that we follow to do something. By being principle dependent, we follow a given principle to execute an application. By following a given principle to execute a project, we automatically apply the guideline of that project. When we communicate about a project, if our communication contains no error, then we follow the guideline of that project. Since the project itself or the function of the project is a function of communication, in this case we simply follow the guideline of communication to execute that project. Since by applying the principle we automatically follow the guideline, there is no need to for us to have a written guideline. This is the reason this document is not recommended, however you may find it very useful to use this document to analyze applications and projects communications. If that is the case, then you can also download this document. The Analysis Guideline takes all the books listed above into consideration and requires the understanding of the principle or the understanding of all of them combined. Prerequisite for Fundamental of Communication: we learn better when we can figure out things by ourselves. By having a good understanding of Understanding the Principle of Communication, then it makes sense to use this document to work out the prerequisite exercise in order to introduce to Fundamental of Communication. The prerequisite exercise enables us to identify some keywords that are used in the Fundamental of Communication. This document is very important to understand in order to start with Fundamental of Communication. If we can figure out all those keywords by ourselves individually, then it should be very easy to learn the given set which is the basis of Fundamental of Communication. It makes sense to take time to try to identify those keywords before starting with Fundamental of Communication. Overcome Negative: Given the communication about an entity points to that entity, our communication ability does not give us the possibility to change the aspect of entities we are communicating about. When we misunderstand that, it is possible for us to try to make an identified entity looks like our communication rather than our communication looks like that entity. In other words, if we communicate about a computer, then our communication looks like that computer. Since our communication cannot change the aspect of that computer, when we try to make that computer looks like our communication, we simply show that we don’t understand what communication is. This document is not important to download, it is only important for people who think negative about others or have little understanding of communication. Transition from Understanding the Principle of Communication to Fundamental of Communication: This document provides us with additional information on how to look at what we do in both communication domain and theory domain. Given that the theory domain is not the same as the communication domain, in term of what we do we have to think differently in both domains. Download this document to learn more about how to view our application from one domain to another domain. This book may help with the understanding of the following books: Application Modeling Communication Domain Math, Fundamental of Communication Book One Math, Fundamental of Communication Book Two Math, Fundamental of Communication Book Three Math, and Application Modeling Tutorial Theory Domain Math. Use this discount code (XALLHRPQ) to receive $6 off from your order.